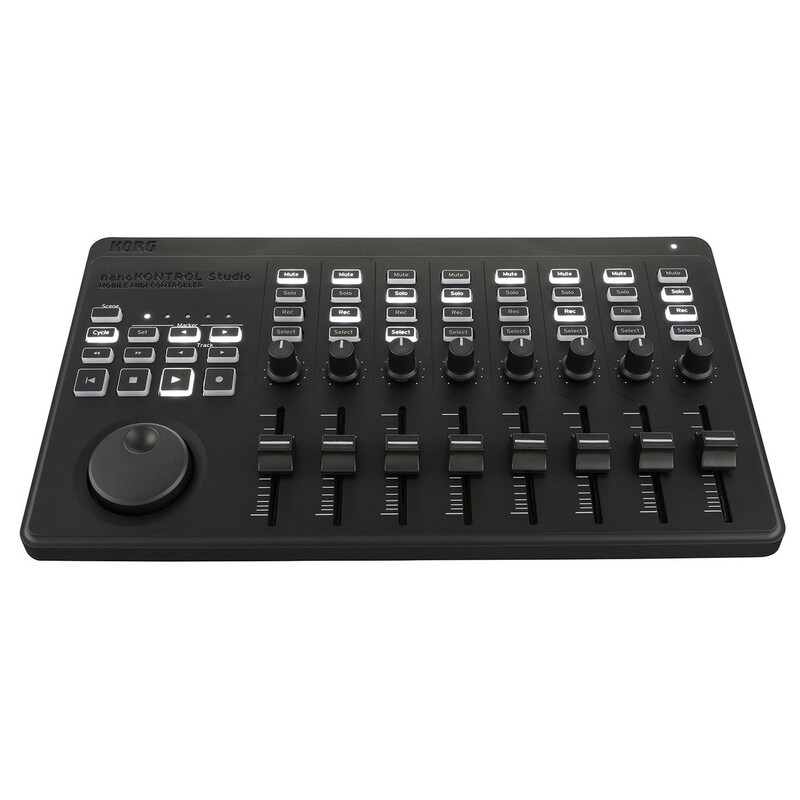 The Korg nanoKONTROL Studio MIDI Controller is a portable Bluetooth MIDI controller that can be used on the go to control digital audio workstations on PC, Mac and iOS devices. With built in faders, buttons, rotary encoders and transport controls the nanoKONTROL provides comprehensive control over your DAW. Powered by batteries or via the USB connection the nanoKONTROL is suitable for any scenario and is the perfect MIDI controller for active producers or DJs. 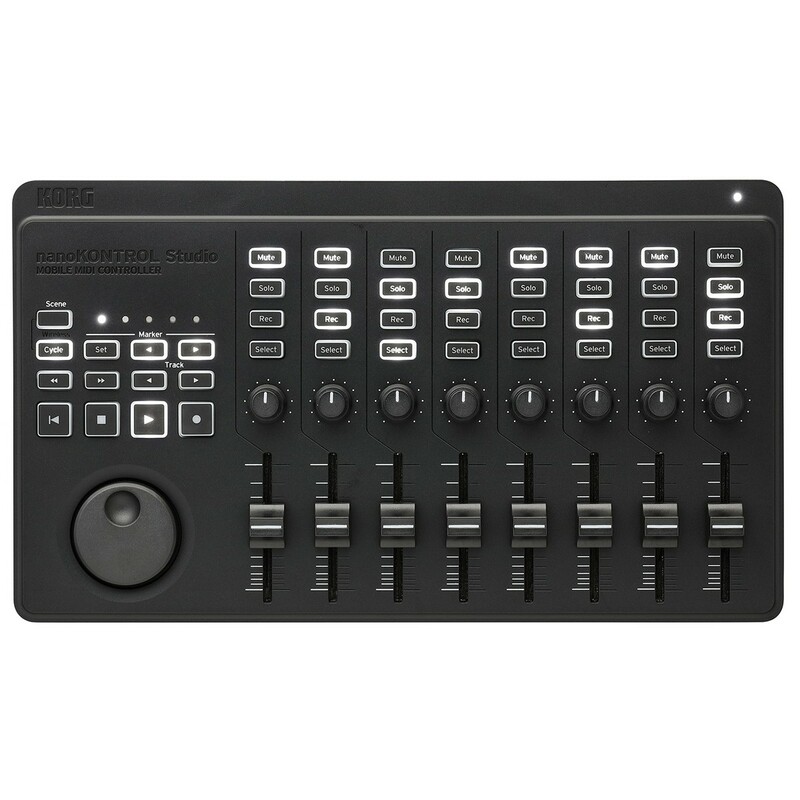 Designed for portability and practicality the Korg nanoKONTROL is a compact MIDI controller which can control digital audio workstations via Bluetooth connectivity. Operating from battery power and featuring comprehensive channel controls such as record, mute, solo and select the nanoKONTROL can increase your workflow by provide hardware controls for quick and simple operation and navigation. Additionally, the 8 on board faders and robust navigation controls are built to withstand life on the road. Although designed to offer seamless wireless operation the nanoKONTROL can also be connected via USB to a range of computers and devices. 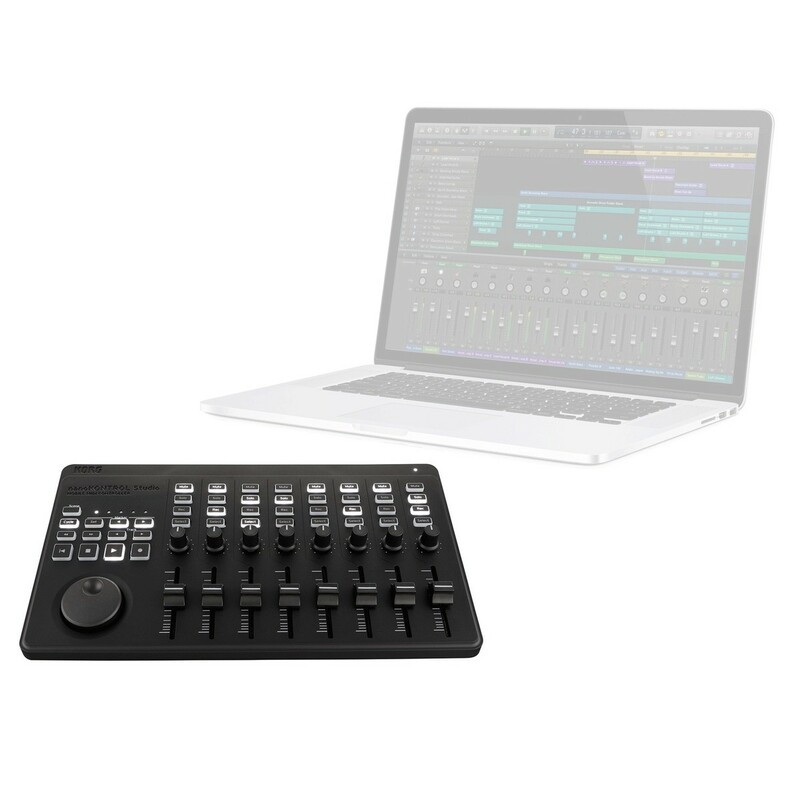 Compatible with both Mac and PC operating systems as well as additional iOS compatibility the nanoKONTROL is the most versatile, portable and comprehensive MIDI controller available. For a full list of compatible devices and operating systems, please see the below system requirements. With a size smaller than a letter sized sheet of paper the nanoKONTROL can be carried in a bag and be ready for music creation at any given time. Constructed from robust plastic with durable controls and backlit with stylish white LEDs the nanoKONTROL redefines the phrase portable MIDI controller.